Boswell, P.A. 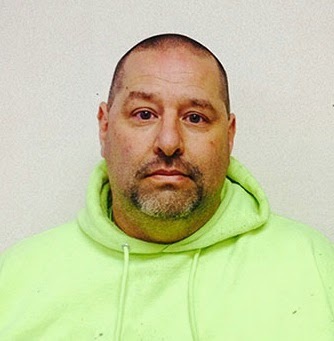 - On Saturday, April 5, 2014, members of the New Jersey State Police Fugitive Unit arrested James Wade Barclay, ending the hunt for one of New Jersey’s top 12 fugitives that spanned for more than two decades. In September of 1989, Barclay was arrested in Cinnaminson Township, Burlington County, for sexually assaulting a 10-year-old child. The victim was assaulted multiple times during a period of two years. Barclay was arrested and charged with Aggravated Sexual Assault and Endangering the Welfare of a Child. He pleaded guilty to the charges; however, he failed to appear for sentencing in Burlington County, in September of 1991. Using information developed over the past two weeks, detectives from the Fugitive Unit learned that Barclay had created a new identity, using the name James C. Toryone. Using this alias, Barclay was able to get a job driving a tractor-trailer throughout the United States. He was able purchase a house, and establish new network of friends. This fake identity enabled him to participate in social functions where children were present. As the investigation progressed, State Police detectives received assistance from the Burlington County Sheriff’s Department, the Pennsylvania State Police, and the United States Marshal’s Service. The investigators developed information that led them to a “Stop N Ride” parking lot in rural Pennsylvania. There, members of the Fugitive Unit conducted surveillance for three days, operating out of a rental car. Three detectives rotated shifts, never leaving the location to eat or change clothes, except to dress in the camouflage suits they wore to conduct the surveillance. Detectives were able to locate Barclay inside of a parked tractor-trailer on Main Street and Route 30 in Boswell, Pennsylvania. As he exited the vehicle, detectives captured Barclay without incident. Barclay used his alias before admitting his true identity. Barclay was lodged in the Somerset County Jail, in default of $5,000,000 cash bail, where he is awaiting extradition to New Jersey.